We all want to lead our ministry well. We want it to thrive. We want it to grow. We want it to succeed. And we want to lead in a manner so that we do all of these things personally, as well. In your own life. Yes, really! I’ve seen far too many church leaders become “professional” Christians. Don’t let this happen. Practice the spiritual disciplines. Worship. Stay in the Word & in prayer daily. Pursue personal spiritual formation. Let your ministry flow from your own spiritual life…not the other way around. In your ministry. Yes, really! Too many of us replace a real plan for spiritual formation with program. Program – no matter how creative or captivating – is not a plan for spiritual formation. Read this again: Program – no matter how creative or captivating – is not a plan for spiritual formation. Here’s the question I like to ask as I work with churches: if a child were to go through your children’s ministry from birth through preteen, what is the specific plan for spiritual formation along every stage of that journey? If you can’t answer that, you probably don’t have a real plan for spiritual formation. Of course, the primary reason for protecting your family is for the sake of your family. Long after your ministry is gone, your family will still be with you. They are worth protecting, and a benefit of doing so is increasing your ability to lead for the long-term. First, do you have a clear & compelling vision for your ministry? Second, can you articulate that clear & compelling vision in a manner which influences others? If the answer to either is “no” or “I don’t know”, you need to work on both. Beyond that, make sure that you are focused on promoting the defined vision. Make sure every decision made it in support of that vision. Make sure that you share the vision with potential leaders. Make sure that your facilities, your program, your systems & procedures, your staff meetings, your training, your … everything! … is pointed straight at that defined, clear & compelling vision. Do you want things done better? Do you want to lighten your load? Do you want greater enthusiasm & engagement in children’s ministry? 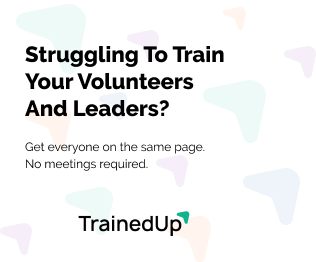 Do you want more volunteers? And don’t try and do so by “recruiting” volunteers…volunteers fill spots to complete a task they’ve been asked to complete. Instead, pursue leaders with an invitation to invest in that grand, clear & compelling vision. When you find them, invest heavily in developing them. 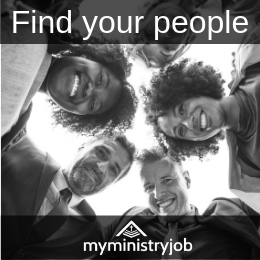 If you are a leader in children’s and/or family ministry, your job is about people – adult people. And I could go on and on with the “tasks” that I so often see children’s ministry leaders giving themselves to rather than investing in people. Now don’t misunderstand me… I’m NOT saying the leader should be “above” doing those things. And of course we all have to do these types of things sometimes. But if you are the one primarily responsible for tasks such as these, or if you regularly have to do these types of tasks, then you are limiting your ministry & leadership potential. I’ve had the privilege of being a children’s and/or family pastor in a churches of 250, 2500, 4500 & 7500. Guess what? It was the same in all of them. My job as a leader is to invest in people… to equip & develop people to pursue the ministry vision…period. What have you learned will help you lead for the long-term? All of the above. Thank you so much for these helpful tips!